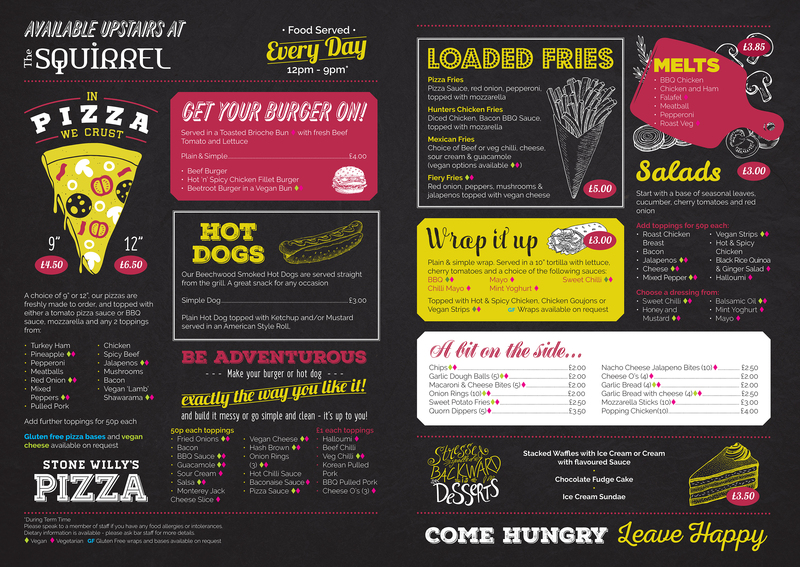 There's so much on offer at KeeleSU, from the cheapest meal deal on campus, found in the union shop, to our brand new 4ork street food and our legendary curly fries. We've got something for everyone both on the ground floor and upstairs. Whether you're in a rush to grab a coffee and a snack before a lecture, or you fancy a meal to take your time over, then come to KeeleSU, we've got you covered! Big night out? Fill up on your late night favourites like curly fries, chips and burgers. We even have Live Music in our popular weekly 'Coffee House Sessions' (Monday's from 12pm). If you purchase 9 hot drinks with a Keele Card or use the app, then get a tall drink for free. This is only valid for hot drinks.